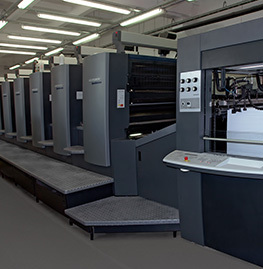 With more than 15 years of experience under our belts, GAB Supplies has established itself as one the largest stockists for high quality used printing machines. 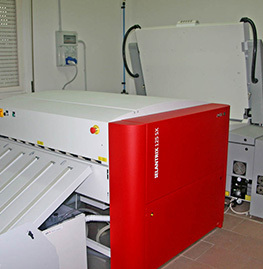 With a range boasting products from brands such as Heidelberg, Komori, Roland, Polar, Stahl, Muller Martini and Wohlenberg, sourced directly from UK and European printers, we are perfectly positioned to meet your needs for used pre-press, offset printing machines & finishing equipments. However, stock quality isn’t everything, and here at GAB we are serious about ensuring the products we buy and sell are in the best possible condition. We use in-house engineers and contractors to thoroughly check the condition of our used printing machines and their history. We aim to supply you with the best product for your needs at the price that’s right for you, continuing to build on our reputation for reliability, affordability and fast shipments. 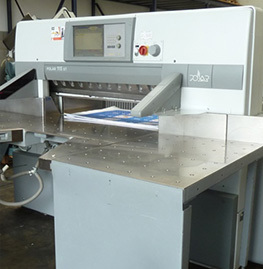 With a huge supply of stock, we have used machines from major manufacturers including Heidelberg, Komori, Roland, Polar, Stahl, Muller Martini & Wohlenberg. Whether you’re looking for a machine for small or large jobs, you can be sure we will have something in store fit for the job. We can offer these services alongside the purchase of a printing machine, or separately. To find out more, take a look around our new website and feel free to get in touch with our easy-to-use enquiry forms. As an international company, we are proud to have supplied to customers from all corners of the globe with our network of agents and partners. We buy and sell high quality used printing machines, used print finishing machines and used pre-press machines to countries such as the Czech Republic, Denmark, France, Finland, Germany, Italy, Kosovo, Lithuania, Malta, Norway, Poland, Portugal, Romania, Russia, Slovakia, Spain, Ukraine, Cambodia, China, Hong Kong, Indonesia, Malaysia, Philippines, Singapore, South Korea, Taiwan, Thailand, Vietnam, Bahrain, Iraq, Iran, Israel, Jordan, Kuwait, Lebanon, Oman, Saudi Arabia, U.A.E, Bangladesh, India, Mauritius, Nepal, Pakistan, Sri Lanka, Congo, Cameroon, Ghana, Kenya, Nigeria, Sierra Leone, South Africa, Uganda, Zimbabwe, Zambia, Australia, New Zealand, Argentina, Bolivia, Brazil, Chile, Colombia, Ecuador, Mexico, Peru, Paraguay, Algeria, Morocco, Egypt, Tunisia, Turkey and of course , within the United Kingdom.